was diagnosed with an insidious form of cancer, and before his doctors at Cedars Sinai recommended medical marijuana to help him survive the radiation and chemotherapy treatments. His view now? "It saved my life," he told me on KERN NewsTalk 96.1 FM. He is now denouncing the Kern County Board of Supervisors for voting to ban the sale of cannabis, calling it a cynical, short sighted political move that puts lives at risk. "They haven't heard the last of me," he said. "I believe I survived to fight this fight." 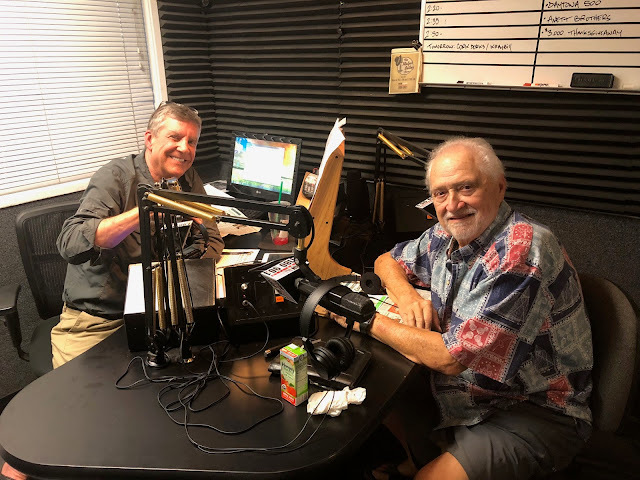 And the best news for Trino: a few minutes before appearing on the radio he learned from his doctor that he was cancer free. * ... DANGEROUS CITIES: Here is a list I am happy that Bakersfield did not make. According to the website FinancialHub, the most dangerous cities in California (starting with the most dangerous) are Emeryville, Oakland, Red Bluff, San Bernardino, Grass Valley, Big Bear Lake, Modesto, San Francisco, Santa Cruz and Commerce. * ... GOOD ADVICE: From comedian Peter King: "I think the golden rule for a man should be: don't say anything to a woman that you wouldn't want a man saying to you in prison." * ... GOOD FORM: Constance Corbell wrote to thank a stranger: "The six mature expatriate British ladies who lunched at the Wool Growers Restaurant Tuesday, October 24, would like to thank the gentleman who anonymously covered their bill. His kindness is truly appreciated." * ... SHOUTOUT: Lynn Finch wrote to send a shoutout to the Ovation Theater. "On Sunday my friends and I attended a wonderful local performance of 'Gypsy' at the Ovation Theater, across from The Mark Restaurant downtown. This historic theater (formerly the Spotlight Theater) has been beautifully restored and the performance was stellar. Such talented local performers with beautiful singing, great costumes and acting. I hope many people will take time to discover this little jewel in our community. Gypsy continues for three more performances, Oct. 27th, 28th, and 29th." homework. If you add this the to the hours they spend in the classroom they are well under paid. These complaining parents would and could not do their jobs." * ... MAILBAG: And this note from Arthur Helming showed up in my mailbag: "I live on Panorama and we use the bluff area for exercise almost daily and pick up trash left by individuals that use the drive throughs at the various restaurants on Columbus Avenue. The individuals that leave the trash are not the ones who exercise, they are the people that eat their burgers and fries after dark and are too lazy to use the receptacles for trash. When we exercise at 5 a.m. the trash is already scattered around the base of the benches and blown around by the wind. If you walk or run on the north side of the street where the visitors park you will also find condoms in the gutter on occasion along with trash. 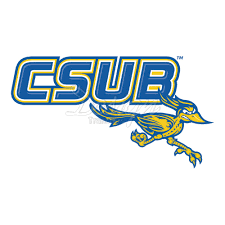 The park is supposed to be closed from 10 p.m. to 5 a.m."
most for your money, and two researchers mentioned Cal State Bakersfield among the standout universities that are "delivering maximum value for students with modest beginnings." 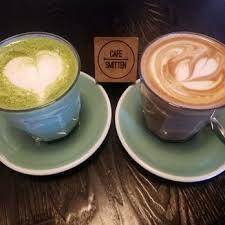 * ... CAFE SMITTEN: Good leaders know this: hiring just one person with the right attitude and skills can have a powerful influence on any organization. I also believe that applies to neighborhoods, where the arrival of one business can uplift an entire block. 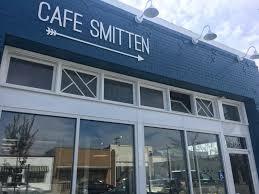 I think that is happening on what I call the 18th street corridor where the comfy and quite trendy coffee house Cafe Smitten has brought new life, energy and hope to a stretch of downtown that was previously stuck in the doldrums. If you haven't been there, stop by for a latte and breakfast eggs and enjoy the crowd and good vibes. * ... SPOTTED ON TWITTER: "I tried to follow my dreams but now I have multiple restraining orders." * ... SPOTTED ON FACEBOOK: From a friend in Georgia: "Here’s my uh-duh moment of the day. Got a new car this week and when I went out this morning to go to work it was pitch black. My hands were full so I couldn’t get to my phone for the flashlight so I felt around and found a door handle and got in. The overhead light didn’t come on so I felt around on the ceiling and couldn’t find it. I got my phone out so I could see and guess what? I was in the backseat. Duh." * ... GOOD FORM: When organizations are in distress, good leaders find a way to rally the troops. And that is exactly what Kern County chief administrative officer Ryan Alsop did last week after learning Chevron was reducing its local workforce by 26 percent. In a memo to employees, he wrote: "As all of us here at the County are aware, the depressed oil prices have led to a decrease in property value for the oil field land here in Kern County which then leads to a lower property tax revenue. This is one of the greatest influences leading to our structural budget deficit. We’re making changes every day to have efficient operations so that we don’t find ourselves in the place that so many Chevron families found themselves in yesterday. I want to take this moment to ask that we all continue to work together in building a pathway through our budget deficit over the next few years. We will get to a sustainable place where our employees are rewarded more consistently and our operations allow us to be nimble and responsive to market fluctuations. Thank you for your continued commitment to the residents of Kern County and my thoughts are with the local families impacted by this news." * ... MORE GOOD FORM: Hats off to the older couple who on Panorama Drive near University Sunday morning picking up trash on both sides of the road. Meanwhile, a mile west near the Panorama Bluffs park was the usual display of plastic cups and fast food wrappers, discarded by folks who use the park for exercise. How can people who profess to take care of their bodies turn around and litter the very ground they use to exercise?